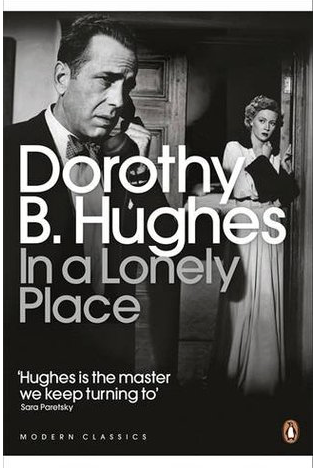 I came across Dorothy B. Hughes excellent noir novel In a Lonely Place in Books to Die For, a book of essays on important crime novels. Each of the articles was written by a famous crime writer. 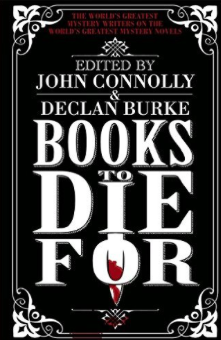 The book has been edited by John Connolly and Declan Burke. The article on In a Lonely Place was written by Megan Abbott. I’m sure I would have liked In A Lonely Place without reading Abbott’s essay but I might have missed a few things. Hughes novel is one of the first serial killer novels and inspired later works like Jim Thompson’s The Killer Inside Me. I know that many readers of this blog are averse to serial killer novels and I understand why. But this one is a very different book. There are three types of serial killer novels—those from the point of view of the victim, those from the point of view of the detectives and those from the killer’s point of view. The mainstream/bestselling novels usually fall into category one or two, while this one falls into the third category. Unfortunately, the blurb gives a very wrong impression and the reader thinks (s)he is reading a thriller-type story. That was never Hughes intention. Without the blurb it’s clear from the beginning that we’re in the head of the killer, Dix Steele. Dix is a WWII veteran who has just moved to L.A. and, on the spur of a moment, contacts Brub Nicolai, a former army buddy, who served with him in the UK, not knowing that he is a detective. An other perpetrator would have stayed away or fled, not so Dix Steele. He loves the idea of being able to follow the investigation very closely. Here’s an early quote which doesn’t only give an idea of Dorothy B. Hughes’ writing but also of how eerie this scenario is. Brub is obviously talking to Dix. Megan Abbott emphasized in her essay that this is far more than a serial killer novel or an ordinary noir. The author went further than others in showing how difficult it was for veterans to return. How in many cases, they felt like their masculinity was in danger. The book is as much about gender as it is about crime. Men like Dix Steele had to reinvent themselves after the war. With the end of the war, they lost their identity. A man couldn’t live alone; he needed friends. He needed a woman, a real woman. Like Brub and Sylvia. Like that stupid Cary had that stupid Maude. Better than being alone. It wasn’t often it hit him hard. It was the balmy night and the early dusk and the look of the lamps through opened windows and the sound of music from radios in the lighted rooms. he’d eschewed human relationship for something stronger, something a hell of a lot better. What makes Dix Steele so tragic is that he is not only greedy and full of longing— for women he can’t have, for status, money, relationships, the “good life”— but also oddly hopeful. He believes that with the right woman everything might be different. When he sees Laurel Grey for the first time, a young actress who is just as greedy for the good life, as he is, he genuinely believes, she might be his saviour. I love nothing as much as atmospherical crime novels and this one might be one of the greatest in this regard. Set in L.A., it really brings the city to life and makes great use of the landscape and weather conditions. I thought that fog and mist were particular to San Francisco but reading this, I have to assume that the L.A. area (at the time?) was constantly foggy. Reading how this lonely, deranged and driven killer hunts for his prey in the fog made for great reading. In a Lonely Place has been made into a movie starring Humphrey Bogart and Gloria Grahame. I haven’t seen it but I get the impression, the ending is very different. Dorothy B. Hughes had an unusual writing career. She published twelve novels, three of which were made into movies, before she stopped writing in 1950. Allegedly, because she took care of her mother and her grandchildren. She died in 1993. It’s a bit sad to think that this great writer spent the last forty years of her life not writing. I just purchased a copy of this book this past weekend. I was planning to save it for the 1947 Club later this year. Now that I read your review, I am really looking forward to reading it. You are right, though, that it is sad to think that a writer on track to have a successful career stopped writing just like that. I think it’s excellent. It really is. Such an amazing atmosphere. I’m looking forward to your review – whenever that is. It’s sad, isn’t it? I mean, if it was by choice, for herself, then Ok, but it somehow doesn’t sound as if. Although, she could have returned to it later. Great review Caroline. I keep hearing such good things about Hughes and her work – really want to read this now! Thanks, Karen. It was a pleasant surprise. I had a feeling I’d like her but not as much as I did. Really interesting commentary, Caroline. I’ve had a coy of this book for ages and have been meaning to read it for a while. That said, I’m almost a little scared to because the film is one of my all-time favourites (right up there with Billy Wilder’s Double Indemnity for me). Nevertheless, I understand there are some significant differences between the book and the movie. It’s a question of leaving enough time for the film to fade from my memory – it’s still fairly fresh at the moment so I may need to leave it for a while. I wasn’t aware of Abbott’s essay – thanks for the tip. Thanks, Jacqui. I’d wait if I were you. I’ve not seen the movie but I think reading it too close after watching might spoil it. Books to Die For is a cool book. All these great writers writing about their favorites. I had vaguely come across this writer before, but I don’t think I’ve read anything of hers – and it sounds quite sad that she gave up on writing. I’m pretty sure you’d like her if you like noir. She was quite influential. Yes, that silence us sad. I have this on my tbr I bought it after reading The Blackbirder and I had read The Expendable Man ages ago. I don’t think I realised there was a serial killer element, still it does sound fascinating. It’s not your usual serial killer book. Very different. I really liked it. Glad to hear you liked others of her books. It’s really sad, but women’s lives were so different back then. I’m amazed that she was able to write so many books in that era. I don’t care for this particular point of view, but I may give this one a try. If it were a child molester I’d have to pass. You never see anything happen. It’s really not a graphic book. It’s all atmosphere and mood. Of course, it’s possible she didn’t want to write anymore. It just seems peculiar to abandon such a career. I’m another who loved the film, though I’ve not seen it in about twenty years or more. You make this sound fantastic, and Megan Abbott knows her noir so a recommendation from her carries some weight too. I might copy TJ’s example and get it for the 1947 club whenever that is. I’m sure I’d enjoy it. I’m in the mood to watch the film now but I’ll wait a but if the two get muddled up. I’d love to hear what you think of it. I thought Guy might have reviewed it but he didn’t. I really liked it. I need to read more of Abbott as well. I tend to like to find early examples of a genre of books that is currently popular. This sounds so good for a lot of reasons. It seems that Hughes was a very innovative writer who was ahead of her time in a lot of ways. I think she was, yes and as Megan Abbott points out, her take on the noir, a more feminist take is really something special. I ink you’d like it. I’ve been meaning to find out more about Dorothy B. Hughes as I was very impressed by The Expendable Man. I’m not usually a lover of noir – or serial killers – but this sounds as if it has more than enough to set it above most other books of that type. Now I’m keen to read The Expendable. It’s certainly not your typical serial killer novel. I found its take on the WWII veteran made it very different. Why haven’t I read this book!? I desperately want to now I’ve read your review on it and Abbott’s commentary. I hope you’ll like it. I found Abbott’s commentary very interesting. Seems like Hughues added something to the genre. Thank you so much for this great post on the novel In a Lonely Place. You noted that you have not watched the film adaptation. Though different from the book, it is one of the benchmark noir films of the 1940s-1950s. Where the book holds no uncertainty about Dix committing murder, the movie poses this as its central question, leaving the audience wondering until the very end. While, in some ways, this makes the story drastically different, there is still a substantial amount of beauty in the film and the performances by Bogart and Grahame are superb. Thanks, Anderson. And thanks for the clarification. I had the feeling that the movie used the element of doubt. I need to watch it. I love Bogart and noir movies. I wonder why I hadn’t heard of this film before easing the book although I’ve seen many of his films. It is probably one of Bogart’s most underrated performances, and that is why many people have not seen it. I’m looking forward to watching it. I just visited your site. I hope you’ll write more soon. It looks interesting. Thank you very much! 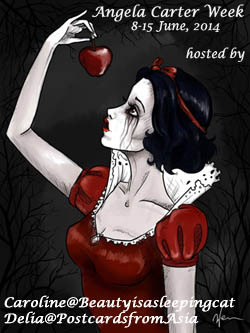 I have a new post on the noir antihero scheduled for this coming wednesday. Nice review Caroline. The point about the importance of Dix being a veteran is very well made. This is a welcome example of the book and film, although different, being excellent in their own ways and complementary. It shows well, that for some men WWII was extremely important because they finally were somebody. Losing that was difficult, to say the least. Glad to hear that you liked both book and movie. I’ve read a few Dorothy Hughes novels and liked them. The film is excellent BTW if you get a chance to watch it. I thought she’s an author you like. I hope to see the movie soon. I’ve read Ride the Pink Horse and The Expendable Man (and some short stories). Preferred the former novel. There’s a film of that one too. 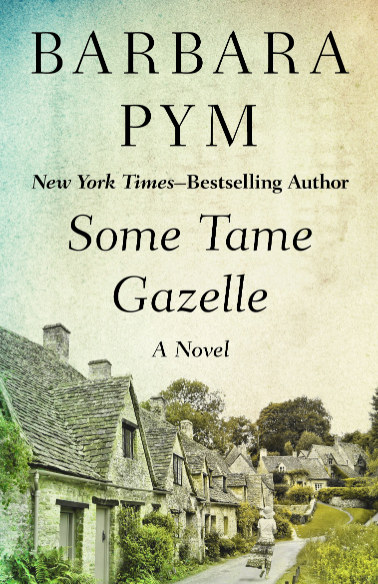 I’ve collected most of Dorothy Hughes books on the recommendation of Sarah Weinman who writes a ‘crime lady’ newsletter and has edited the Library of America edition o Women Crime Writers (which contains this novel), so I have long known she is supposed to be very good. You know I recently have thought of reading her (finally…) as my library just got in the recently released Criterion Collection edition of the film. Now I want to get that Connelly collection of essays he edited and then read the Hughes and maybe follow it up with that Jim Thompson novel. I am not very keen on reading serial killer sorts of crime novels either, but I would happily do so in the case of Hughes and Thompson as I imagine their work to be more literary rather than pure entertainment that might deal with the subject more gratuitously. You have been reading so many good books–I’m sorry I’ve fallen behind in reading your blog posts! Don’t apologise. I’m so behind as well. I think her books are well wort collecting. I loved it. I still see images as if I’d seen the movie. That’s why I’m not sure watching the movie already is a good idea. The Connelly collection is great but dangerous. I’ve discovered so many books already. I’ve collected a few Jim Thompson novels but haven’t read them yet. Unfortunately The Killer Inside Me isn’t among them and of course that’s the one I want to read. Typical. They are decidedly literary serial killer novels. Notthing to do with Silence of the Lambs and all of its spin offs. I’m sure you’ll really like it. I fear I am going to go home and pick up this book (even though I am in progress reading so many others). She is someone I have long meant to read. I will see if my public library has the Connelly book. My library has the Thompson in a Library of America edition that also has books by Patricia Highsmith, Charles Willeford (The Pick Up–have you read that or seen the movie–I saw the movie ages ago and thought it really good–not sure how close it is to the book), David Goodis (another noir writer I want to read) and Chester Himes. There are so many good classic crime novels out there–it is hard to resist temptation! All those names you mention . . . I want to read all of them. Luckily, I’ve got many on my piles. I haven’t read The Pick-Up. I ahev another Willeford, not sure which one. Highsmith is rediscovered it seems. Many of her books are reprinted. Maybe they never went out of print. Great review. I’d like to read this. There’s a lot of fog and rain in Chandler’s L.A. too. I think you’d like it. The atmosphere is stunning. I’m reading The Killer Inside Me at the moment and find it pale compared to this. I hope I didn’t raise the bar too high. It might be a question of preference. I love a great atmosphere and mid that in Thompson’s novel. But I haven’t finished it yet.